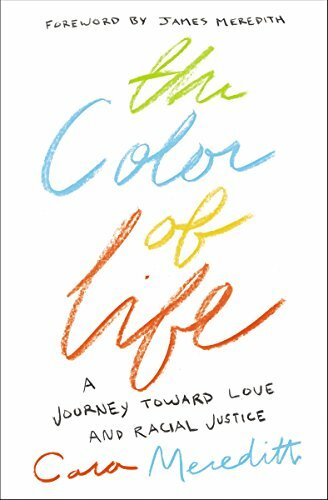 I’m oftentimes asked why I wrote The Color of Life, and if I’m honest with you, the first thing I’ll say is that I never thought this would be the book I would write and eventually publish. Six years ago, I left the traditional work force to pursue writing and speaking. 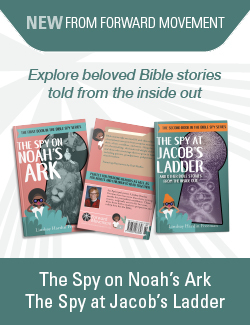 Even though I was living many of the stories that eventually landed in my spiritual memoir, including navigating an interracial marriage and raising mixed-race sons, never in a million years did I imagine the stories of my everyday ordinary life gracing the pages of a book. So, instead, I wrote a book the rest of the world would never see – a book about being a woman in ministry, experiencing a faith crisis when I left ministry, and navigating new portals of identity when motherhood came my way. And, 77,614 words later, that book continues to live on the backburner of my computer, simply becoming the book that showed me I could write a book if I really tried. After several dozen unsuccessful attempts to find an agent to represent that book, a long-form essay about my journey as a white woman into issues of justice, privilege and race went viral – an essay I would later see as newborn in understanding but that showed me the book I was supposed to write all along. Because people were fascinated about the journey of a white woman who married his son. Because I had a story to tell. Because white people needed to understand that issues of race had to do with all of us. Because the world needed more stories of interracial marriage and biracial children. Because I wanted justice, once and for all, for my black and brown brothers and sisters. Although all of those reasons were valid, I finally realized the answer entirely had to do with me. “My marching is not for my children, nor is it for my husband, nor is it for my brothers and sisters of color, even though they are more than worthy of my marching, their lives more than marked by dignity. I march for myself, stomping my feet for a justice and a wholeness and a peace that are also mine. Because when I allow redemption to take hold of me, a funny thing happens: I can’t help but want this redemption for others, too. I gulp down the justice offered me and extend it to everyone I meet, for there is flourishing when wholeness takes root in our bones. “Here, the journey comes full circle. I don’t want to keep it for myself, but I want to sprinkle the sidewalks with fistfuls of redemptive confetti, my steps marked by a splendor of color. Here, I want to see those who’ve been silenced and oppressed not merely be given a seat at the table but handed the microphone so we can glory in the amplification of every voice. Here, whitened walls of injustice come tumbling down, one honest and gritty story at a time. And here, I can finally answer my father-in-law’s question. I tell him about sitting at the feet of Mama Ruby one night and of realizing that fighting for justice isn’t something we do for others, but it’s something we do for ourselves. Then I start marching all over again, begging righteousness to dwell deeply in my soul, asking goodness to reign over my heart” (p. 210). So, there you have it: the real reason why I wrote The Color of Life. Just as I came to realize that wholeness and justice are mine, I hope that readers realize the wholeness and justice that is theirs as well – and that somehow this simple and profound realization would also start to break down the oppressive walls of injustice present in our country today. Thank you for this, Cara. I guess the whitened walls of injustice, the amplification of different voices will only change with repesentation. For examples, how many writers for Grow Christians are people of color? If you have a couple of folk, great; but I’m sure there can be more. Hey friend! I have been working on bringing in more authors of color, lay voices, parents of neuroatypical kids, parents who identify as LGBTQ….but we certainly need more. I love suggestions and would love for you or Jo to write! Thanks, Allison. I forgot that you lead this, so I have no doubt that a diverse set of viewpoints will be shared. I truly appreciate Grow Christians, and the wisdom that is shared. I’m serious about you and Jo writing! Hey Ranjit, thanks for saying this (and thanks Allison for saying something too). Representation absolutely matters. In the fight for equity, I am committed to making connections between writers of color and the editors I work with. Although I have (admittedly) not done this with Grow Christians, Allison, please let me know if I can make some introductions happen. Thanks all!